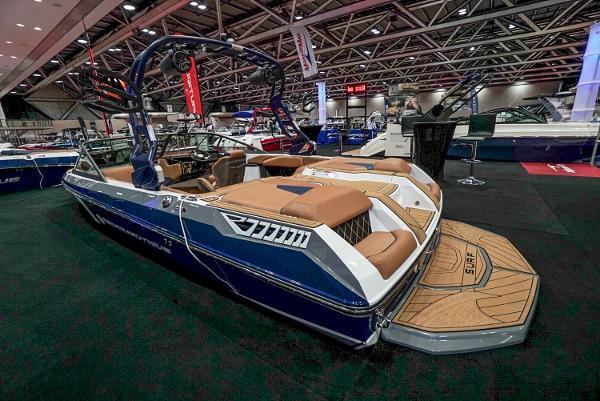 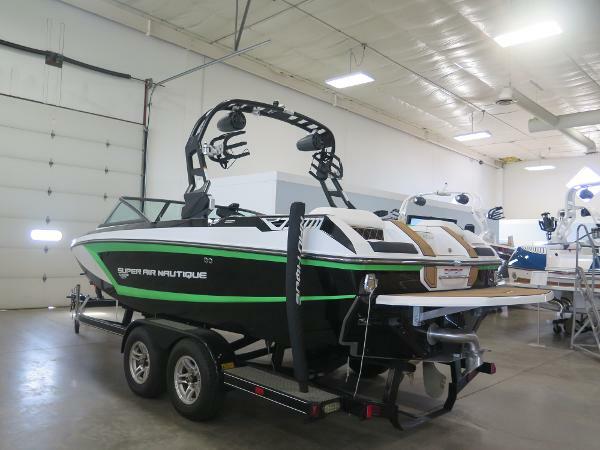 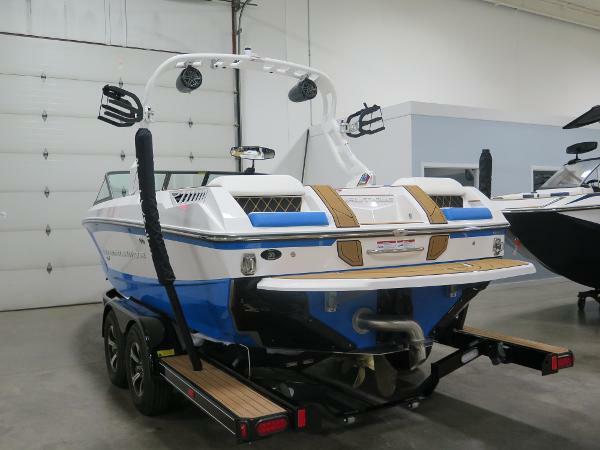 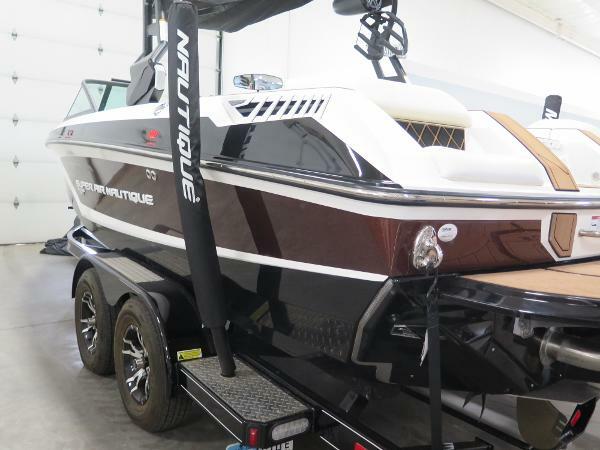 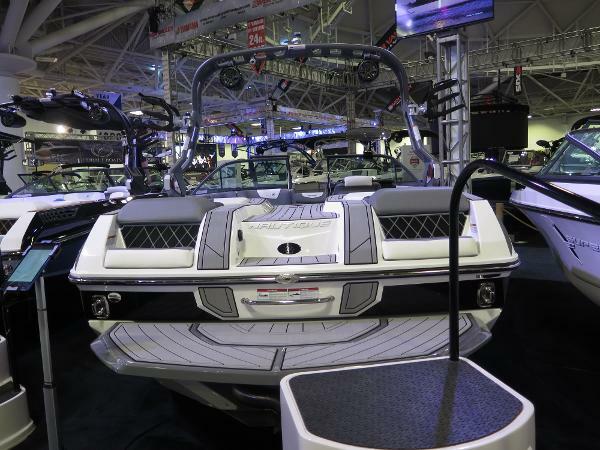 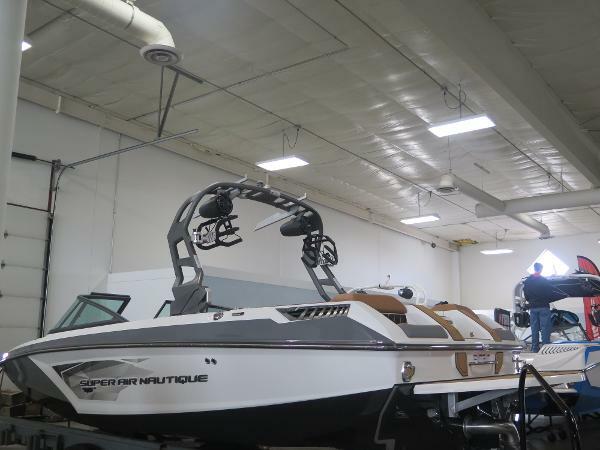 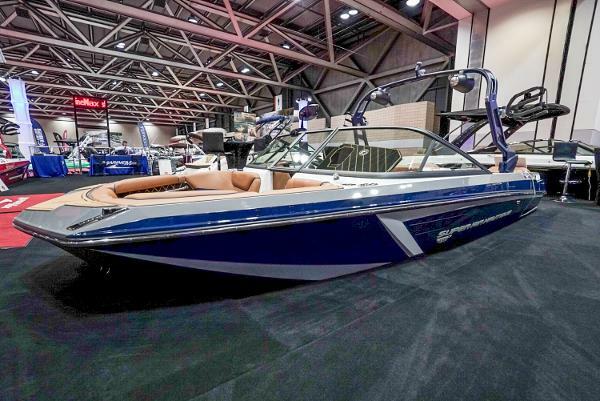 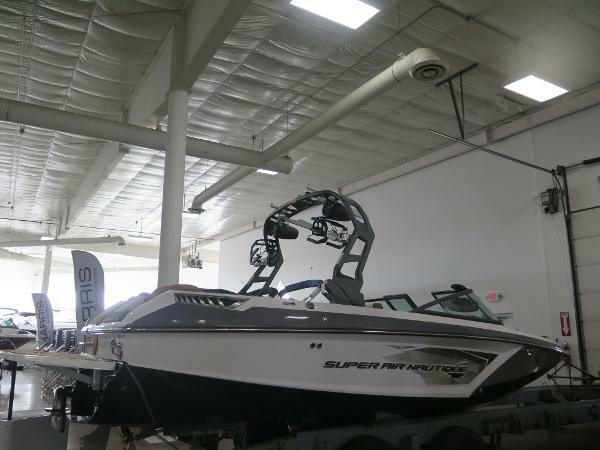 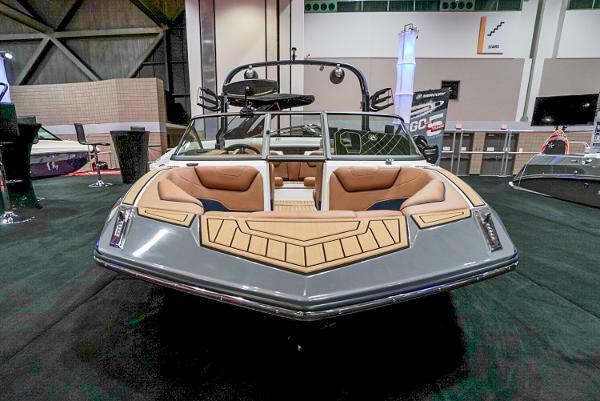 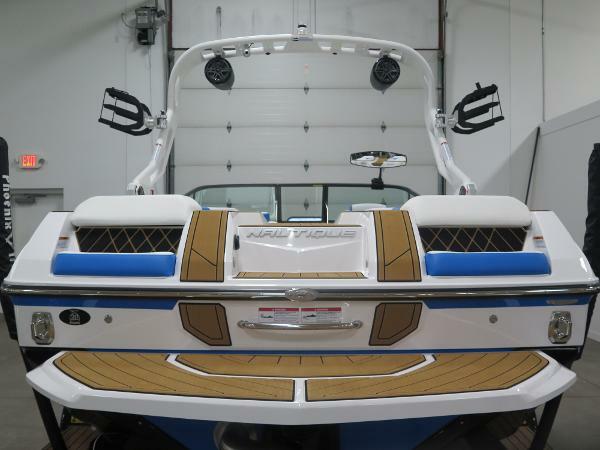 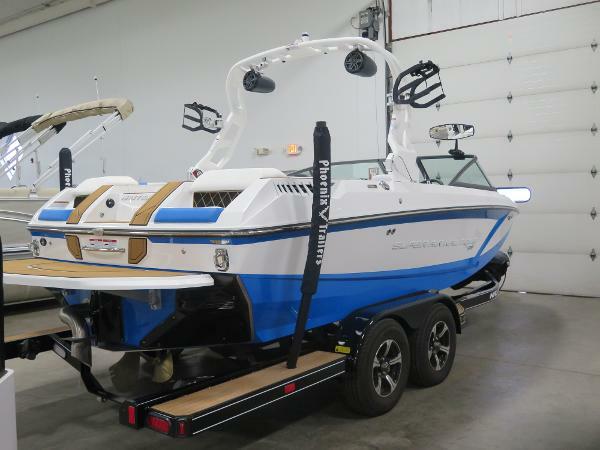 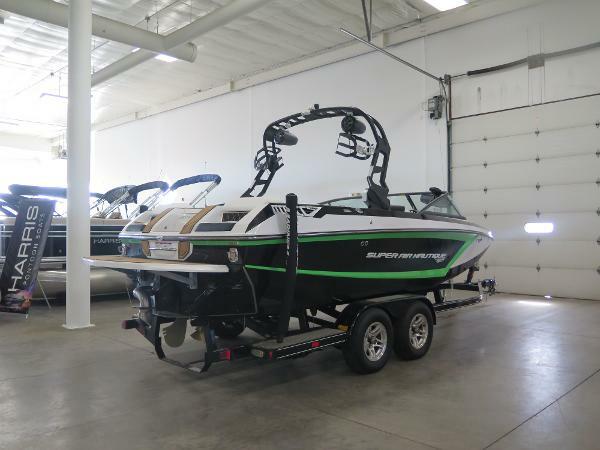 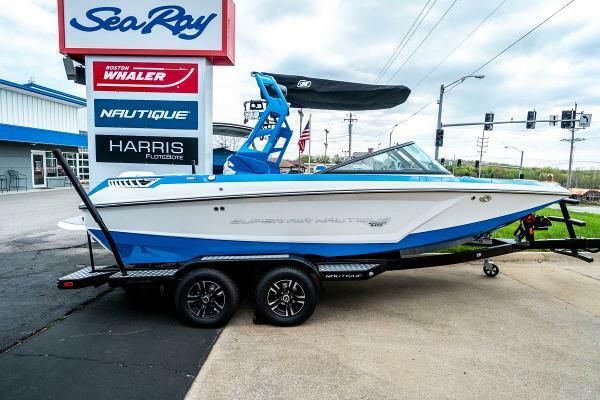 Just in, this pre owned Super Air Nautique GS20 will be sure to turn heads with its bronze metal flake exterior along with its luxurious siesta sand interior. 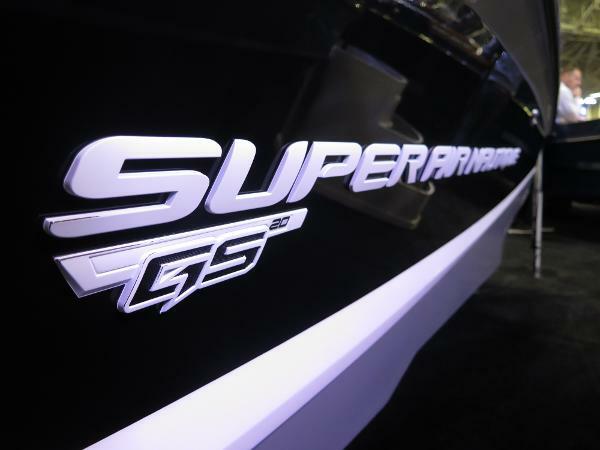 Combining hull characteristics from the world record breaking Ski Nautique and the award winning G23, the GS20 is the ultimate multi-sport machine. 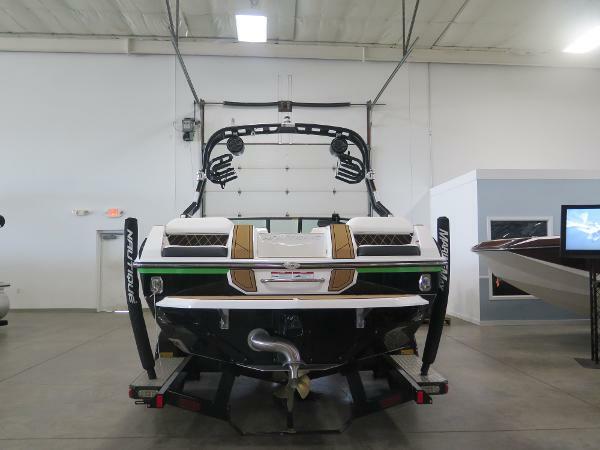 If you are looking to wakeboard and wakesurf but still enjoy taking a ski set this is the boat for you. 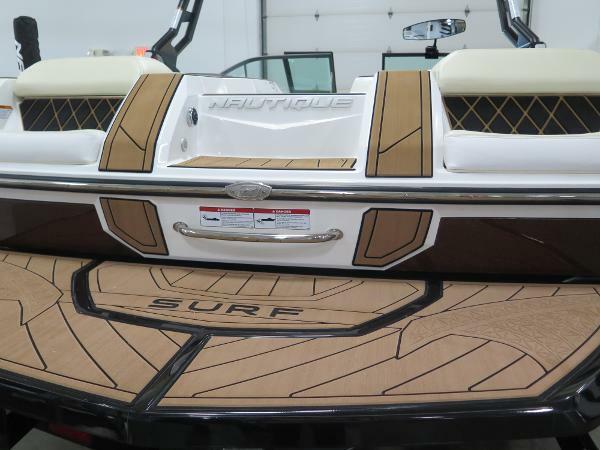 Fill up the 1850lbs of factory subfloor ballast and enjoy endless, adjustable waves or increase your speed control and wakeboard behind pro level wakes. 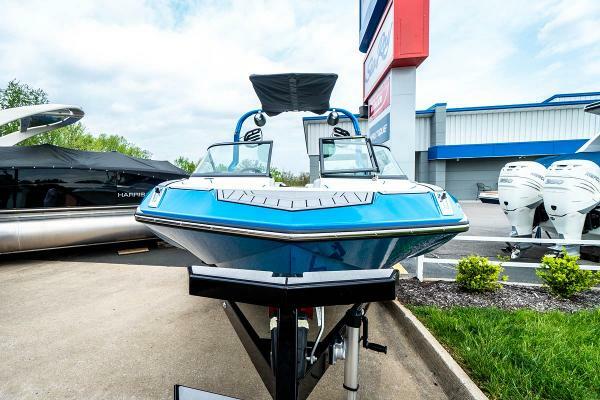 With the touch of a button, drain your ballast and the integrated NCRS ski assist will adjust to give you the flattest, softest ski wakes based on your desired ski speed. 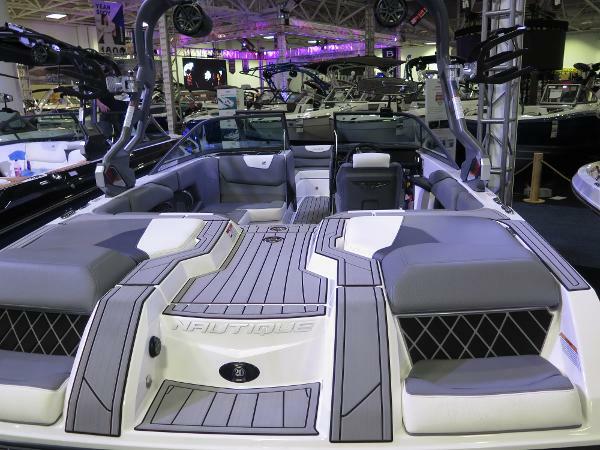 Crank up the crisp sounding JL audio stereo system to make your experience even more enjoyable. 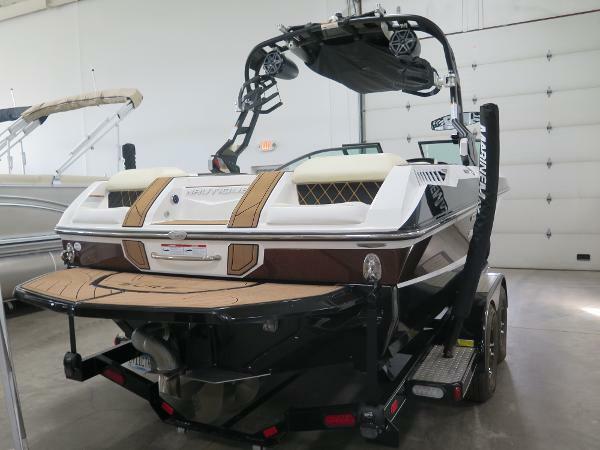 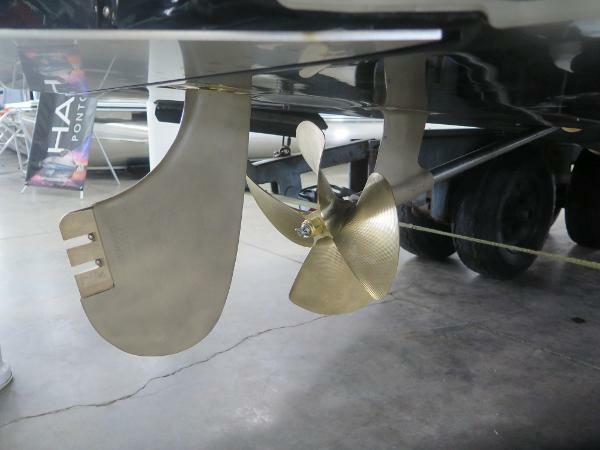 This boat is very clean and loaded with options including, 1 pair 8.8 JL audio tower speakers, surf graphic, bimini and trailer. 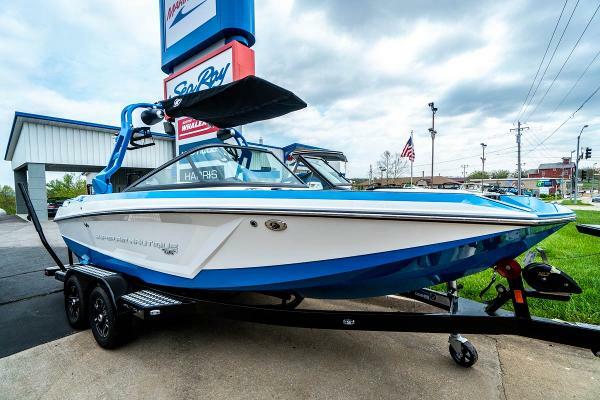 With summer on its way don't miss this opportunity to create memories of a lifetime!